Today’s post is by Scott Viola. Our children, as some of you may know, learned all 200 yard birds we have at Tranquilo Bay for their science class last year. Scott truly took to the birds and was especially interested in their songs and sounds. He has learned to identify many of the birds by sound as well as visually. Here is a report he prepared for me about a strange phenomenon he encountered. 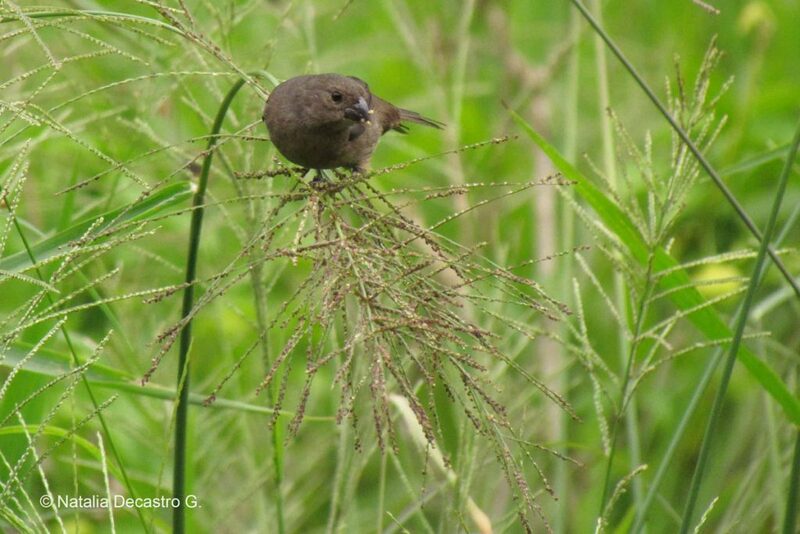 I have acknowledged a phenomenon on which I can find almost nothing: the Variable Seedeater mimics other birds’ songs. For months after learning the Variable Seedeater’s song in Bocas del Toro, Panama, it made me think of rubbing a wet window with rubber. One day around New Years, I was walking in a semi-open area less than a hundred feet above sea level and heard a string of bird songs issued back-to-back from an elevated position. I was mystified, there being nothing that I could see. I considered that someone had put a playback speaker in a tree, but that was unlikely. After a few minutes, I saw a small, black bird exit the tree, and the calls ceased. I knew what it was, a seedeater or seedfinch, but I didn’t consider that it could have been the thing making the noise. A few days later, I heard it again in a nearby location. This time, I had a clear view and identified it as a Variable Seedeater. It doesn’t include all the birds every time it sings, but there is a loose order in which it tends to put them: parrots, the Ani or the hawk-like sound, and the rest, often with the Black-cheeked Woodpecker next to the flycatchers. The song lasts around seven to eight seconds, with 3-6 dedicated in the beginning to the parrots, the Ani-like song, and its own add-ons. The song also changes depending on region, as can be seen on http://xeno-canto.org/explore?query=variable+seedeater. I believe this is caused by the birds it mimics, which are different everywhere. On Xeno Canto, I managed to identify a parrot in the midst of unfamiliar noises. The sounds don’t even make me think of birds; they are higher pitched and from a different place, making it sound like the song I had heard before my epiphany. The seeming randomness is stated in every Variable Seedeater resource I can find, except for one. 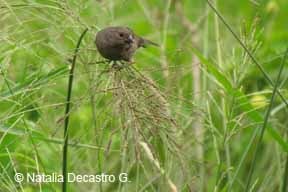 At “The Sights and Sounds of Costa Rica” (http://www.naturesongs.com/CRsounds.html), the author wrote in the section for the Variable Seedeater that it mimics, and had two recordings that clearly contained mimicking. He was hearing the same thing I did. In them, I can tell that the seedeater mimics bird sounds. In one, I hear a Black-cheeked Woodpecker.